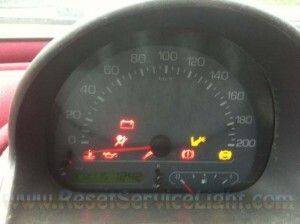 How to turn off servie warning light on a Fiat Multipla. The Service Schedule establishes the interventions to be carried out every 20,000 km. 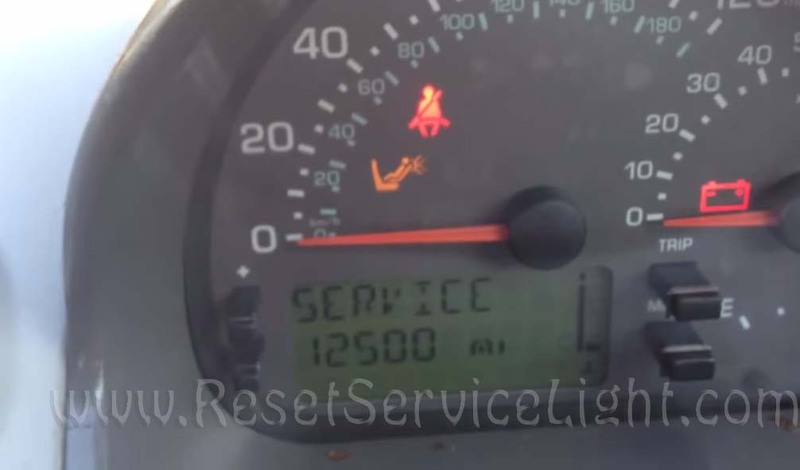 This message will appear automatically when the key is turned to MAR when a distance of 2,000 km (or miles) before the service deadline is reached. The message is then represented every 200 km until there are 200 km left to the deadline after which the essage is represented every 100 km, 50 km, etc… The data can only be reset by a Fiat Dealership. Turn the ignition key to MAR. The message CHECK IN PROGRESS will appear on the configurable multifunction display. This means that the electronic systems aboard the car are being checked. The test will last for approximately four seconds. If no faults are found, the message OK will appear on the display after the engine has been started. IMPORTANT If a failure message appears on the configurable multifunction display, see “Warning lights and messages” in this section. For older modeles the dash look like this.